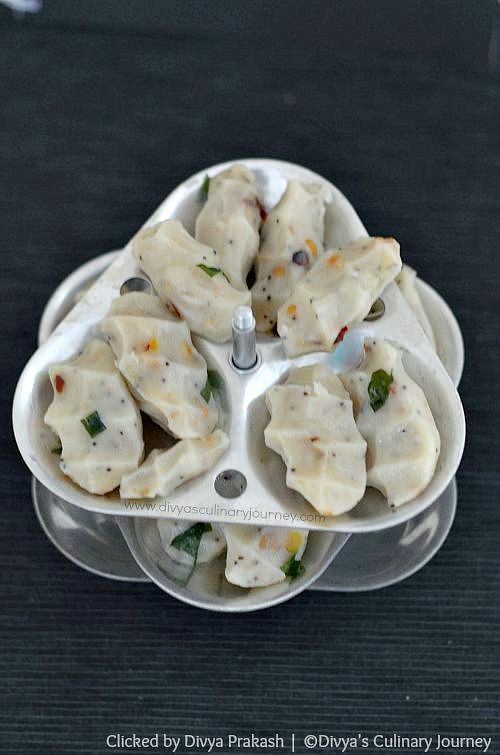 Today I am sharing recipe for another easy to make Kozhukattai for Vinayagar Chathurthi. It is Spicy Kozhukattai made using Rice flour. I have used store bought Rice flour. If you have home made Rice flour, you can use that too. 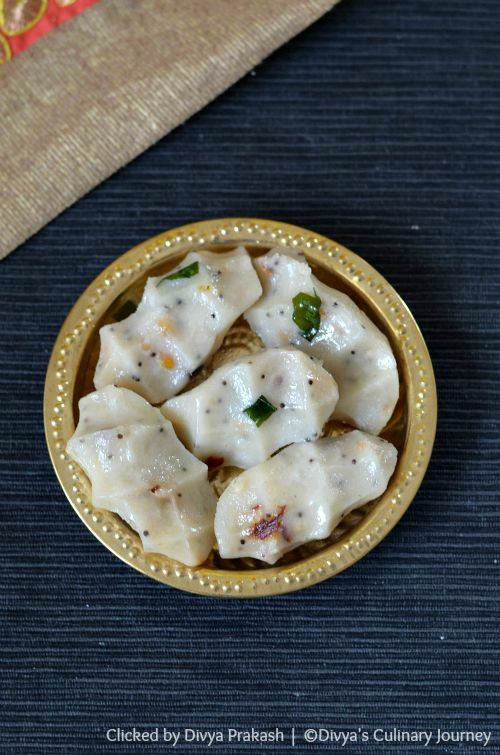 This is the most easiest and simplified version of making Kara Pidi Kozhukattai. 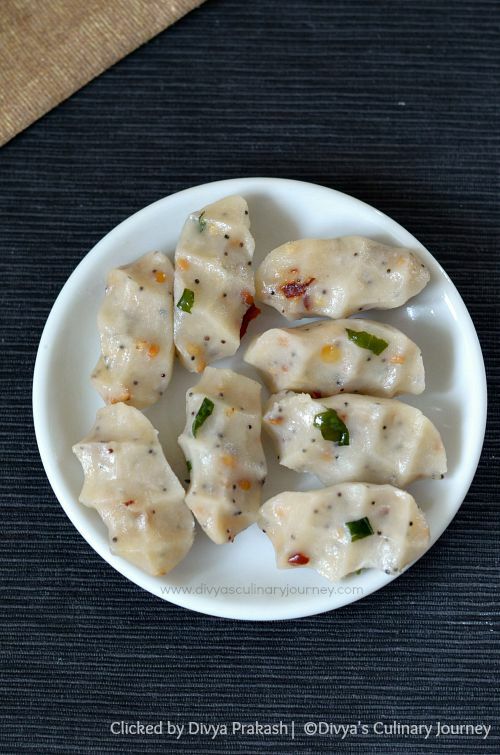 How to make Spicy Pidi Kozhukattai? In a pan, heat oil, add mustard seeds and when they sputter add channa dal, urad dal and fry for a minute. Then add curry leaves, red chillies and fry for another minute. Then turn off the heat. Add coconut and mix well. In bowl take rice flour, add the fried ingredients and mix well. Then add hot water little by little and keep kneading till a dough is formed. Neither too loose nor too dry. Grease hands with oil, take little dough, close the hands and press with your fingers making kozhukattai shape. Repeat the process for rest of the dough. Arrange it in Idly/Idli Plate and Steam cook it for about 8-9 minutes till it is cooked and shiny. Do not overcook it. I made around 12 Kozhukattais. Number of kozhukattais you get depends on the size you make. The amount of water required depends on the quality of rice flour. Depending on the spice level add chillies. I removed the seeds and torn the skin into pieces and used. Instead of red chillies, you can also use green chillies. Keep the kozhukattai's covered. If kept uncovered, it might turn dry. These look good! And they look like fun to eat. I think they would be a great appetizer on a party spread! These look so interesting, I have never had anything like them before, great recipe!